Bridge Marina is one of the oldest maritime facilities on the Merrimack River. 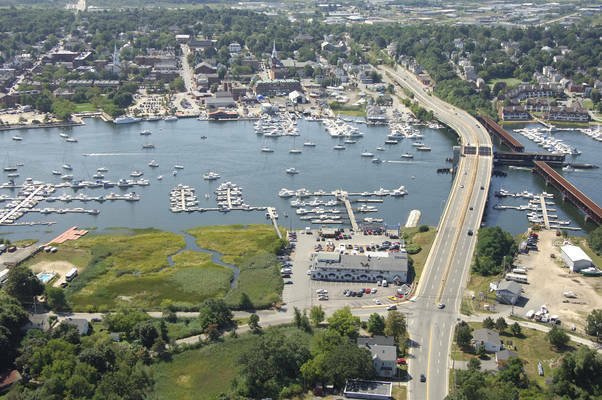 Since the 1800s this facility has been used for shipbuilding and repairs, as a Standard Oil terminal and most recently as Bridge Marina. 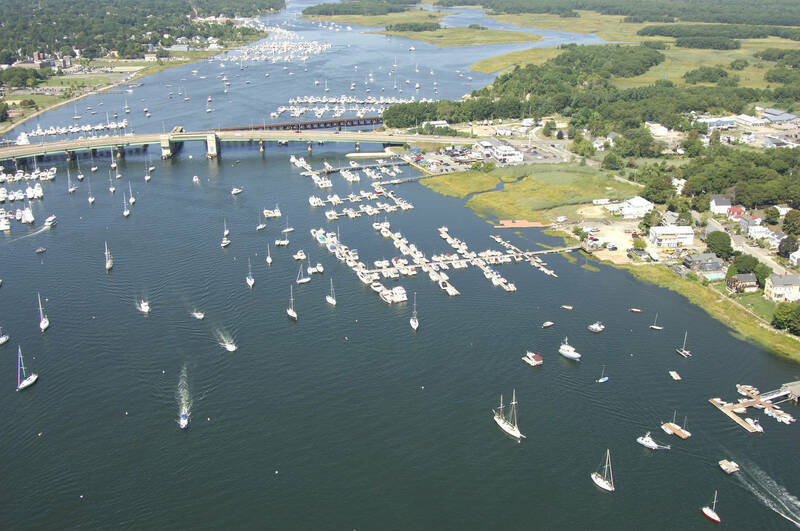 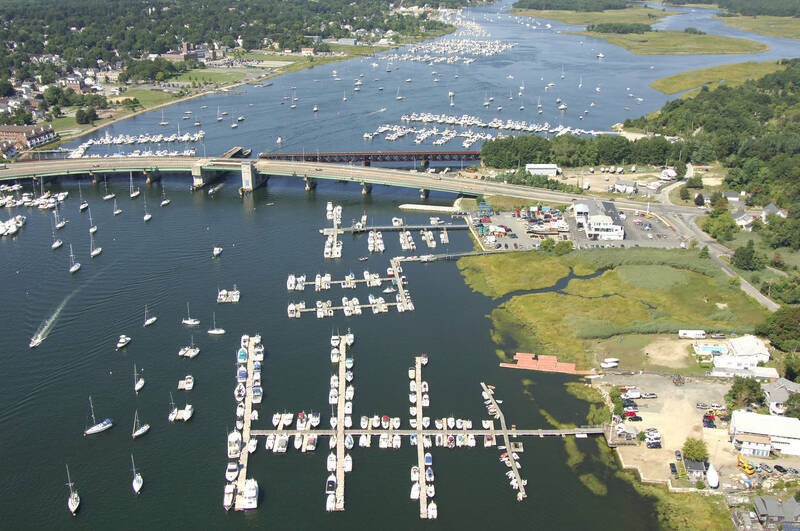 Located just across the river from scenic Newburyport Mass, Bridge Marina has the capacity to dock 110+ boats ranging from small craft to 60-foot vessels. 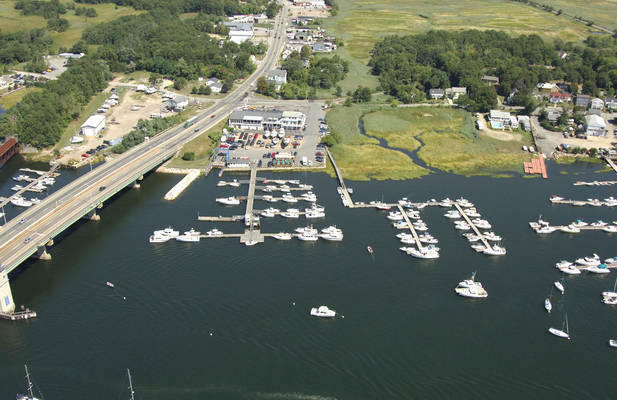 Our close proximity to the mouth of the river makes Bridge Marina an ideal marine docking location. In 2016 we upgraded our facility to include a new pier and boat docks made of the highest quality Batu (an Indonesian hardwood known for exceptional strength and durability). 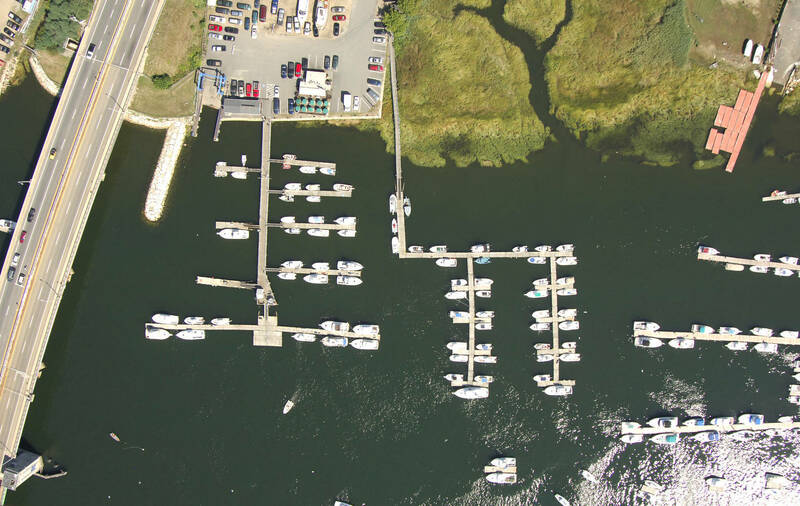 This new docking system now also features power pedestals at every slip with dual 50Amp 125/250V twist-lock receptacles, dual 30-amp receptacles, and dual water faucets to accommodate all of your marine water and power requirements. 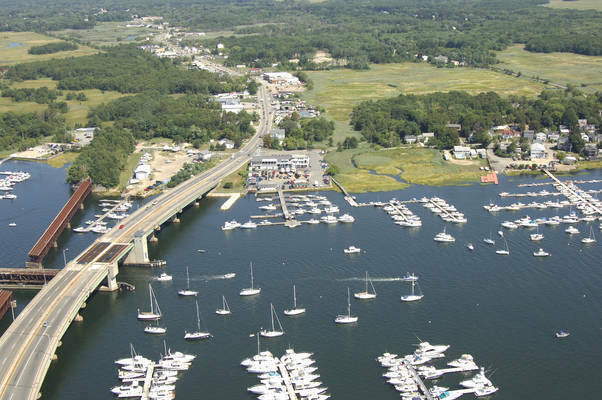 Bridge Marina also provides various maintenance services, including mechanical and fiberglass repairs and painting. Give us a call to schedule Bridge Marina's staff technicians to assist you with your boat repair needs.